insects and birds and small animals were […] sprouting partially formed from branches. 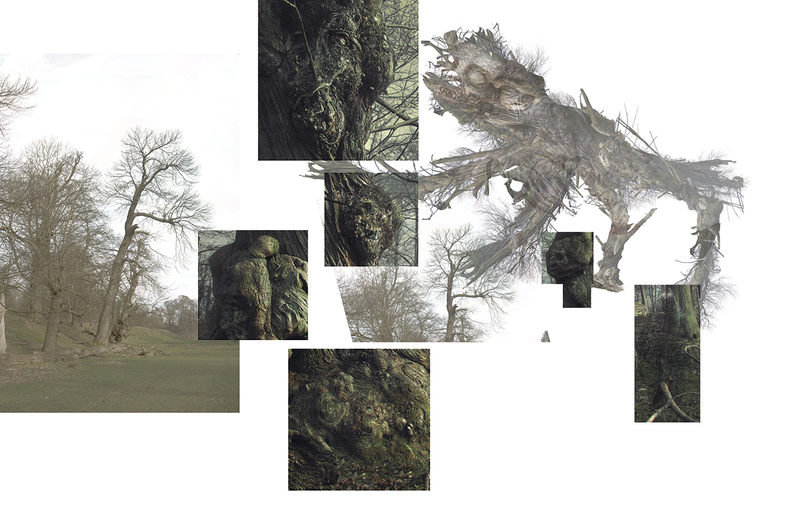 […] Though the excrescence was patched with glistening lichen and starting to collapse, it had her father’s face”. In order to evoke the shapes and mood in the descriptions I went and took photos of the trees in Knole Park, Kent Downs; I cut out their silhouettes and grouped them in a composition. The rest was grading, adding photo filters and painting on top until I achieved the desired effect. This entry was posted on May 21, 2018 by Marcus Crassus. 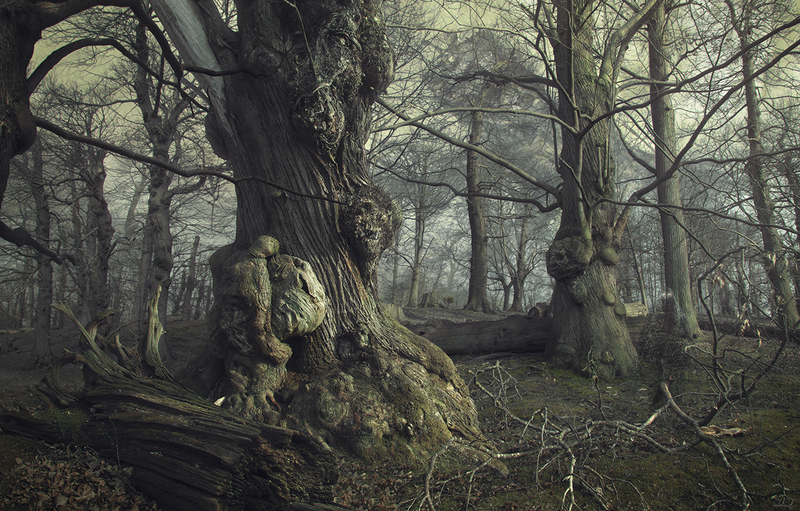 It was filed under Concept Art, Digital art, H. P. Lovecraft, Ramsey Campbell and was tagged with Atmospheric, Black Metal, Landscape, wildlife.